Researchers must actively engage with interpretation and analysis throughout the process of building a project such as Civil War Washington. We make interpretive decisions about what materials to include, well aware that such decisions reflect the values and biases that scholars bring to their work. Our interpretations, moreover, are encoded throughout the electronic files that comprise the web site's content, from the analysis of the material and intellectual organization of the emancipation petitions embedded in the mark-up language of the Text Encoding Initiative, to the data models developed for the relational database. To that end, each section and subsection of Civil War Washington includes short essays that introduce both the materials presented and how they have been digitized, modeled, and encoded. The essays included here demonstrate yet another approach to communicating the interpretations we have made while working on this project: the long-form prose typical of those in humanities disciplines. These essays both engage issues in the digital humanities and explore aspects of Washington DC during the Civil War. 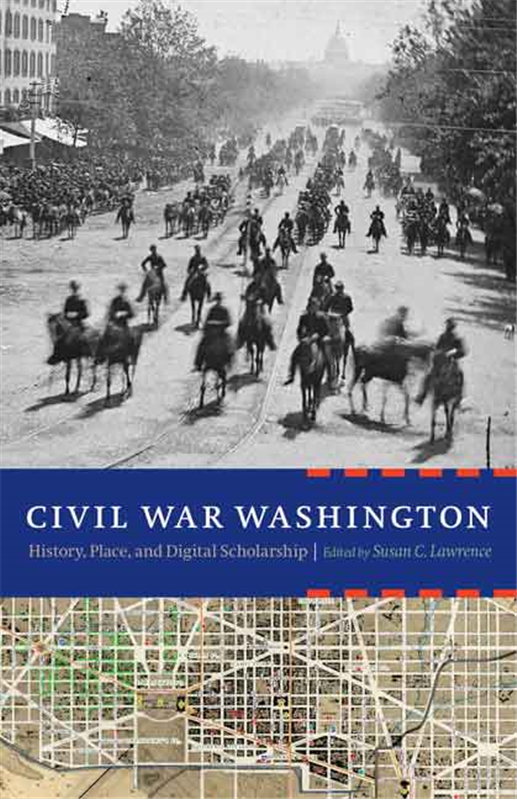 The essays below were first published in Civil War Washington: History, Place, and Digital Scholarship, ed. Susan C. Lawrence (Lincoln: University of Nebraska Press, 2015). They are reproduced with permission and have been revised and updated for publication here, as described in "Civil War Washington: The City and the Site." The copyright to these essays is held by the Board of Regents of the University of Nebraska, and Civil War Washington's Creative Commons license does not apply to these essays. 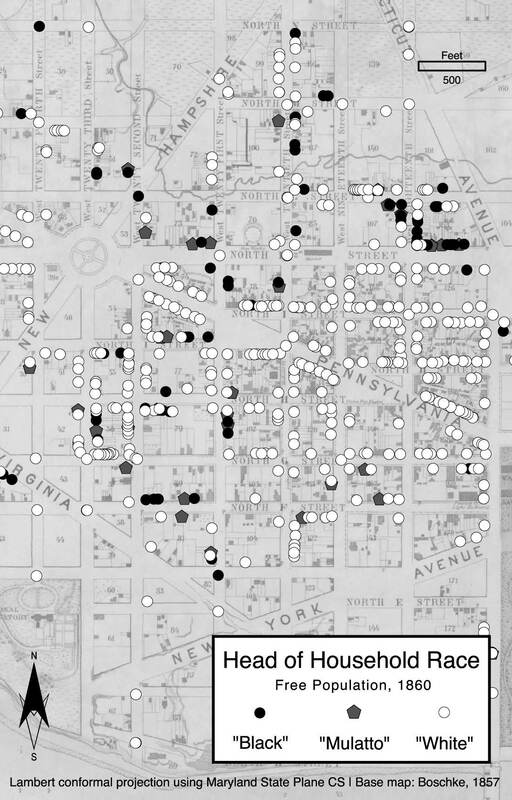 Illustration from "Historical Geography, GIS, and Civil War Washington." Print version available from the University of Nebraska Press. The project team also maintains a blog, Dispatches from Civil War Washington, which documented the work completed as part of our NEH Collaborative Research Grant.